Today's track would go quite nicely with yesterday's offering. 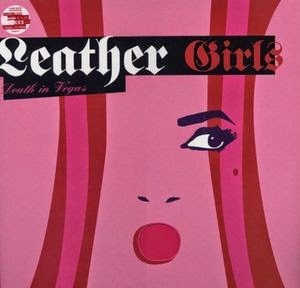 It originally appeared as the first two tracks on Death in Vegas's third album Scorpio Rising but by the time of the release of the second single from that album it was one track, confusingly titled Leather/Girls on the single 12" release, however listed as Leather Girls on the double pack. No matter what when you listen to it you don't need to be a genius to hear when one track could potentially stop and a further one begin. By the way, you get some "interesting" results if you type leather girls into a search engine. 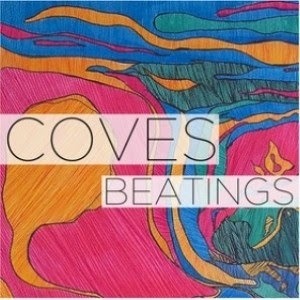 I first heard of Coves at the tail end of last year, their name being mentioned in the same review as The Raveonettes, so I had to investigate. Apparently they have been doing their thing since 2011, so as ever my finger is right on the pulse. Their sound puts me in mind of Cults but a bit heavier and more dare I say it psychedelic. I bought the album which I found enjoyable enough to seek out a couple of earlier singles which brings me to today's track. The a -side of the 2013 released Beatings 12" is a very good song in it's own right full of twangy guitar and echoey vocals but the b - side remixed by Brendan Lynch is the one for me, a strung out soundfest. Today's tune was number 429 in the original Northern Soul Top 500. An out and out dancer, originally released on the Veep label in 1967. Cindy Scott also released music under her real name of Sundray Tucker and she can be heard duetting with Stevie Wonder on Ordinary Pain from the Songs In The Key Of Life album. She also has some quite famous relatives in soul music, her sister was Supreme, Lynda Lawrence , Bunny Sgler is a cousin as was Tammi Terrell. Prior to hearing this cover version I had never herd the original which I then found out was from an x factor winner. I much prefer this version.